Has there ever been a better time to be a part of the booming small-scaled side of the music industry: independent music? Beyond being genuinely invested in what each individual artists envision, it's no secret that independent music or what people called as "indie" promise a bright future on the music industry. 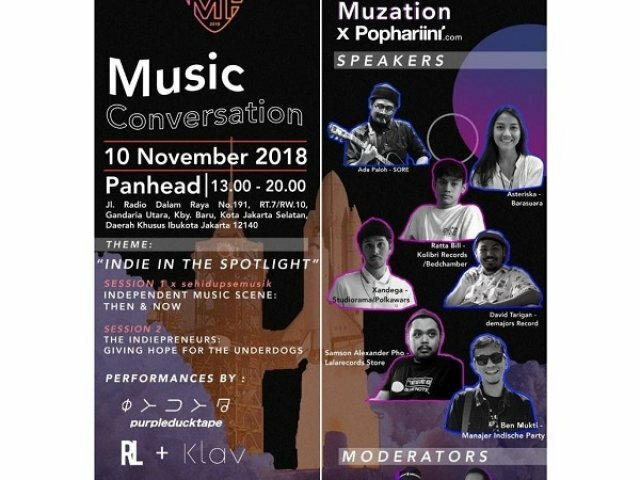 Ever wonder how an unknown indie artist could rise into a profitable musician like Efek Rumah Kaca or Kelompok Penerbang Roket? Lets join and celebrate the end of your weekend with us!